the Gaza Strip, Palestinian territory between the Israeli shoreline and the Egyptian border, according to the army. Presented by the "13", an Israeli private television channel, he explained that he had left the region of Montpellier (south of France) alone to the east of the Mediterranean. "When I got here, the problems came up: the computer, the engine broke down and the anchor chain broke so I drifted for a month. I ate, but I had almost nothing to drink, "he said. "The Israeli army […] came to help me out, "he added. His boat was towed to a marina and he was granted a 15-day residence permit from the Israeli authorities. He indicated, however, that he intended to return home as soon as possible. The man claimed to be an experienced navigator. "I went around the world twice," he said. He also thanked the Israeli army and the hospital where he was examined. 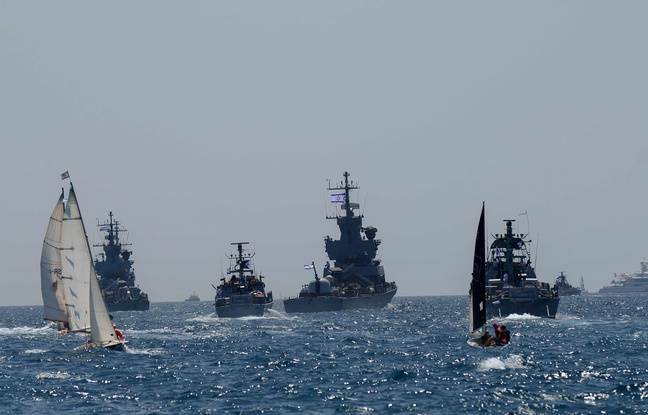 The Israeli army released a photo on Friday that a salt-and-pepper-haired man wearing a cap was surrounded by soldiers on what appeared to be an Israeli boat.